Back in 2014, when NARS released the Audacious Lipsticks, like Pokemon, I wanted to catch'em all! Unfortunately, just like Japan's launch of Pokemon Go, my progress has been slow. I can't believe I only own four of them? !...note to self: get more! From left to right: Linda, Aya, Louise, Kirat. The magnetized casing is great and all, but a b@#$% when trying to photograph the lipsticks side by side. Louise was a causality of the magnetization. She was pushed off the table and plunging head first onto the floor. They say a picture is worth a thousand words... this one is worth a thousand screams. Lat Fall, NARS released six Audacious Lipsticks, of which I picked up four: Louise, Linda, Kirat, and Aya. Linda: a deep, warm caramel. Aya: a dark, warm chocolate brown with a slight reddish undertone. Louise: a dark, warm brick red. Kirat: a dark, warm eggplant purple with a slight pinkish undertone. All four lipsticks have a cream finish, and are densely pigmented, with minor hydration. Each of these shades were gorgeous for Fall, with Linda being my personal favorite (I wish I would have gotten a back up). Since winter started, I've been using Aya, Louise, and Kirat a lot more. In Japan, both Linda and Aya were limited edition. 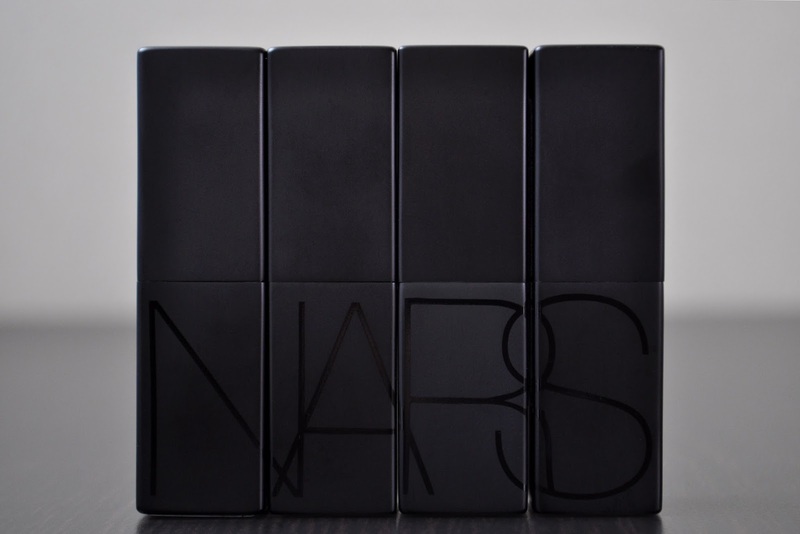 NARS in one of the few western brands that isn't astronomically marked up in Japan. The Audacious Lipsticks retail for 3,996. Which Audacious Lipsticks do you have in your collection? This is one of my favourite lipstick formulas! I have Angela, Anna, Annabella, Audrey, and Brigitte. I love the look of Linda but know it wouldn't suit me at all. Kirat, though... gorgeous! 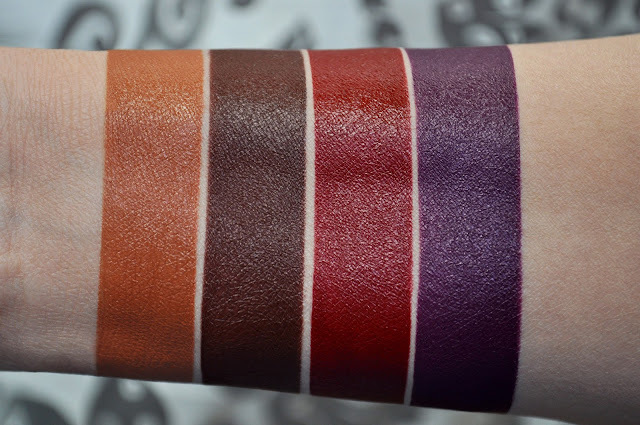 I just happened upon this post by accident and I share your love for these shades! I got Aya, Kirat and Vibeke from this collection but I will kick myself forever for missing out on Linda, which seems like one of the most original shades Nars has ever had. No wonder it sold out quickly here in Canada! Amazing swatch photos, as always.